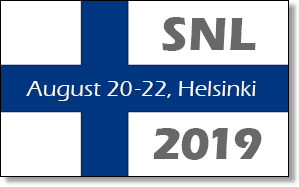 Currently there are close to 1000 members of SNL, representing a wide range of language research areas. 50% of our members come from outside the United States, representing more than 25 countries. To join SNL, you must first Create an SNL Account, or Log In to your existing SNL Account. From your account home page, click ‘Join SNL’ or ‘Renew My Membership’.